In Patagonia, pumas (Puma concolor) are "generous" enough to leave kills and otherwise influence the populations of condors and many scavenger species. Compared to the grey wolf's influence in North America, the puma seems more significant to its food web, according to a new research paper from Mr Lawrence Elbroch, University of California, Davis and Heiko U. Wittmer of the University of Wellington, New Zealand. The Aysen region of Chile is in central Patagonia. Using dogs to force pumas to retreat under cover, they were then anaesthetized and fitted with GPS collars. Every 2 hours their positions were then recorded and the results downloaded every 2 to 5 days. When they killed or scavenged, the remains were checked carefully. Pumas could be tracked in snow and recorded visually and with remote cameras at kills, while prey mass was recorded using standard tables for age. With 433 sites covered, 350 ungulate mammals and 83 smaller vertebrates were recorded, predated by 8 puma (five female and three male). Up to 3.1 times the grey wolf contribution is "donated" to their ecological community by the pumas. With a lower density than wolves, the puma population is surprising researchers with its ability to provide prey for others. Even more pumas, unrecorded in this survey, had abandoned food at their kills. Whereas wolf packs defend kills and contain members who will clean up at kills, the solitary feline habit creates much more free meals for others. Messrs. Elbroch and Wittmer noted 12 vertebrate scavengers using the kills. 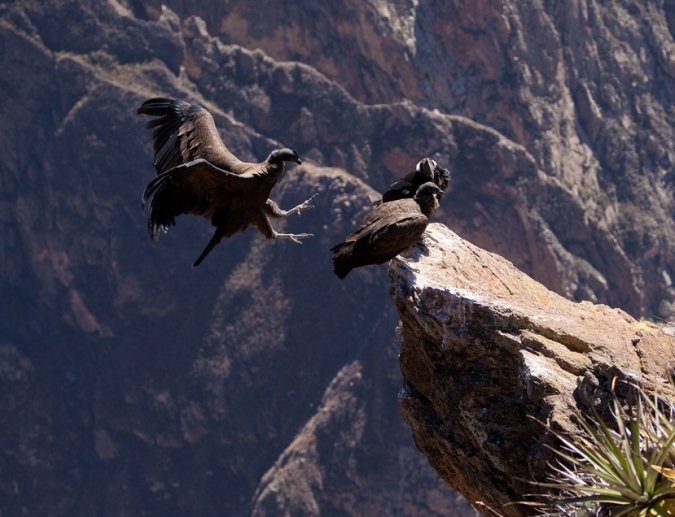 Andean condor was there at 43% of ungulate kills, indicating something of very great importance to its near-threatened status with IUCN. More felid research must follow this ground-breaking discovery in order to assess the importance of all of the species contribution to the whole ecosystem and not simply saving rare species from extinction. Wolves have possibly been studied more than any other predator, in order to assess any introductions to their previous habitat. It has been discovered that aspen (Populus tremuloides) recruitment, elk distribution and a resultant songbird diversity depend on the wolf. Discarded prey remains contribute between 84.5 to 155-9 kg of meat per month over 100km2 in their northern habitat. In contrast, puma contributions were recorded at 232.1 kg of meat per month over 100km2. Twice as much "fodder" from a much smaller population seems a good return to encourage those defenders of wild predators. The provision for the rare and beautiful condor also seems to be very important for the conservation of Andean habitats and species.